You’ll be pleased to know that you don’t need to go out and buy a pair of virtual reality goggles in order to take part in virtual fitness challenges! They can actually be a really useful part of your running or cycling program. There are two main types of virtual fitness challenges. They both share a key component: they are done in isolation from other people. Unlike a normal event, where you turn up on the day and run or ride with a bunch of other people, a virtual challenge event is just you out there doing your thing. These fitness challenges take place over a series of days, weeks or months. They are fantastic for maintaining motivation to get out there and complete the challenge. Some examples range from basic “miles target” type events common in mainstream fitness apps such as Strava and Runkeeper. A more elaborate offering, such as The Conqueror Event Series (starting October 1st), challenges participants to make their miles add up to the same amount as the distance between iconic landmarks or famous routes. 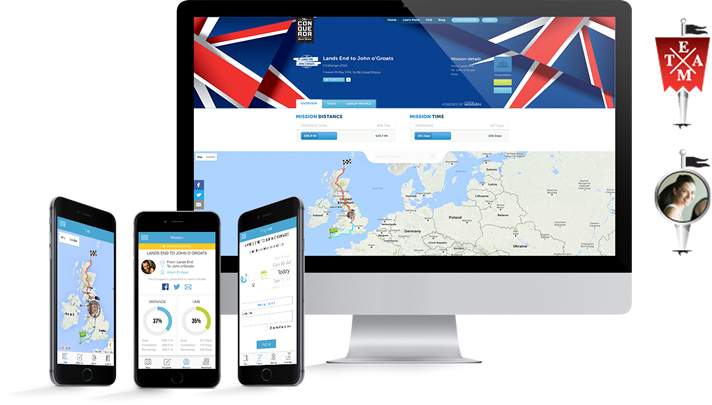 The Conqueror’s upcoming virtual fitness challenge maps out the route from Lands End to John O’Groats, which covers the length of the U.K. 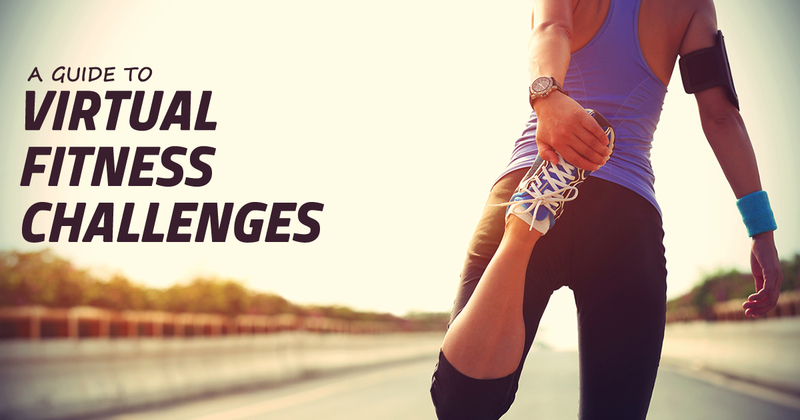 These long-term virtual fitness challenges are usually hosted on a website and/or mobile app. They are a unique form of SMART goal setting because they are Specific, Measurable, Achievable, Realistic and have a Timeframe. They are ideal for people who want to set a target but also want to have fun visualizing their exercise data. Far more interesting than graphs and data tables for most people! Virtual challenges can also add a social element to an otherwise unsocial activity. Some virtual events have the ability to set up teams, making them ideally suited to use with groups of friends, or as part of a corporate wellness initiative. Single day virtual fitness challenges take place on a specific date and usually cover a specific distance. An example of this is a 5k run. Instead of everyone meeting at a specific location and heading on a 5k run, each person individually does a 5k run on that day, at whatever location they decide. While these single day challenges lack the goal setting aspect that longer term events do, they are fun and can suit people who want to feel the accomplishment of an event without all of the hustle and bustle of a real event. Beginner runners and cyclists also use these short-term types of virtual fitness challenges to simulate a real event, such as a half marathon. It’s a sort of “dummy run” for the main event. With both long-term and single day virtual fitness challenges, there are often a range of swag to be earned such as t-shirts, race bibs and custom medals. If you are looking to try something a bit different and have never given a virtual challenge a try, then it might be something worth looking into! People who enter virtual fitness events and challenges report that it helps them with their motivation over the longer term as well as during their exercise sessions. They also get a feeling of being part of something bigger than just going for a run or ride. Give it a go and tell us what you think!